Lock in a great price for Quintessa Hotel Osaka Bay – rated 9 by recent guests! The staff and their omotenashi hospitality were amazing. They even waited outside on a cold and windy day for our shuttle bus to depart and then bowed. We almost cried. We will also remember their "goyukkuri dozo" ("please relax and don't be in a rush") when they saw us in the hotel. The breakfast was great. They offered both Western and Japanese breakfast. If you're staying for more than one night, try both. Do try the Japanese breakfast if you only stay one night. Coffee and cake in their cafe Aimable were great too. The shuttle bus driver dropped us off just near our preferred station because it was on the way. He also helped us with directions. Food is good and location is near the ATC where the event of izone group took place. I also like the veiw at the bay. Hotel was clean and modern. Room was very spacious and well kept. Staff was incredibly friendly and ready to help with any concerns. Hotel offered shuttles to nearby attractions and the small convenience store and hotel restaurant were a definite added bonus. Would highly recommend staying here. I was coming from a 25-hour flight, so I was exhausted and disoriented when I arrived to the hotel, but immediately my room was wonderful. I took advantage of the large tub for a hot soak, and slept early. I wish I could have stayed longer than just the one day. Staff was very kind and helpful answering my questions. This stay was a gift to myself after my long journey, and it was exactly what I needed. I'll definitely be considering this hotel in the future as well. Breakfast was great, bed was very fluffy! Room was comfy! Large, comfortable room. Fabulous breakfast buffet and free shuttles to the aquarium and train station the friendly, helpful staff. Quintessa Hotel Osaka Bay This rating is a reflection of how the property compares to the industry standard when it comes to price, facilities and services available. It's based on a self-evaluation by the property. Use this rating to help choose your stay! One of our top picks in Osaka.Open from August 2016, Quintessa Hotel Osaka Bay is located a 32-minute train ride from JR Osaka Station. It features rooms furnished with modern interior, a restaurant and free WiFi. Private parking is available on site. The hotel operates a free shuttle service to/from Universal Studios Japan®, Osaka Station and Osaka Aquarium Kaiyukan. The smoke-free rooms come with a flat-screen TV, fridge and an electric kettle with tea bags. The private bathroom comes with free toiletries, slippers, toothbrush sets and a hairdryer. The 24-hour front desk offers free luggage storage and safety deposit service. There is also a drinks vending machine for the guests' convenience. A wide range of dishes are served at the buffet restaurant, and drinks can be enjoyed at the on-site bar. Osaka Castle can be reached with a 30-minute drive while Universal Studios Japan is a 47-minute train ride from Quintessa Hotel Osaka Bay. Kansai International Airport is a 68-minute ride on the Nankai-Limited Express. When would you like to stay at Quintessa Hotel Osaka Bay? This twin room features a electric kettle, flat-screen TV and sofa. This twin room has a seating area, air conditioning and sofa. This triple room features air conditioning, electric kettle and sofa. This triple room features a seating area, sofa and flat-screen TV. This family room features a sofa, air conditioning and electric kettle. An extra bed will be prepared for the 5th guest, only when the booking is made for 5 people. Please indicate the correct number of guests at time of booking. This quadruple room has air conditioning, seating area and electric kettle. An extra bed will be prepared for the 5th and 6th guest, only when the booking is made for 5 or more people. Please indicate the correct number of guests at time of booking. House Rules Quintessa Hotel Osaka Bay takes special requests – add in the next step! Quintessa Hotel Osaka Bay accepts these cards and reserves the right to temporarily hold an amount prior to arrival. 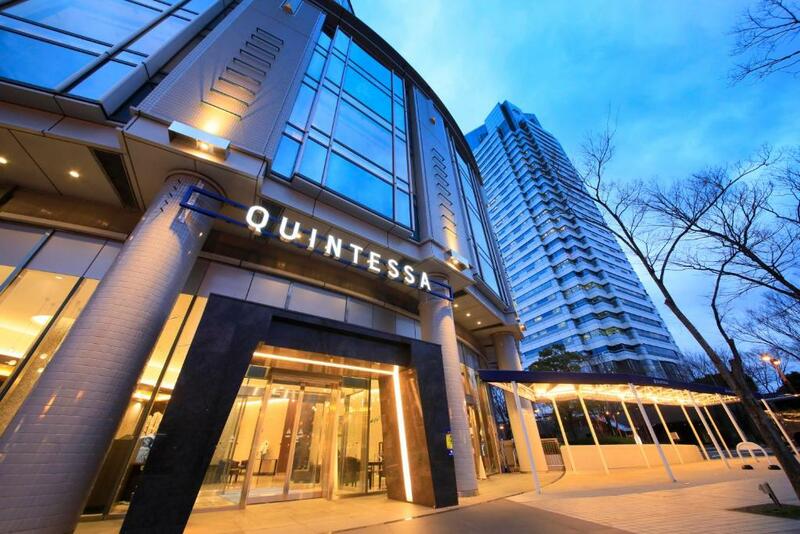 This property will change the property name to Quintessa Hotel Osaka Bay as of 01 March 2018. In addition to the paid on-site parking, the hotel has designated off-site parking spaces nearby, which guests can use free of charge. Please contact the property directly for more information. Please note that the hotel's entrances are locked for security reasons during the following periods. If you want to enter the hotel after 00:00, please call the hotel staff using the entry phone placed outside the front entrance to open the door. We arrived at the hotel close to midnight. We were welcomed by 3 staff members so check in was really quick. Breakfast had a good variety of japanese and western food. Location: it might seem to be far away from centre of Osaka but actually is well connected to main tourist spots. Cosmosquare station is an easy 10 minutes walk even with kids on tow. 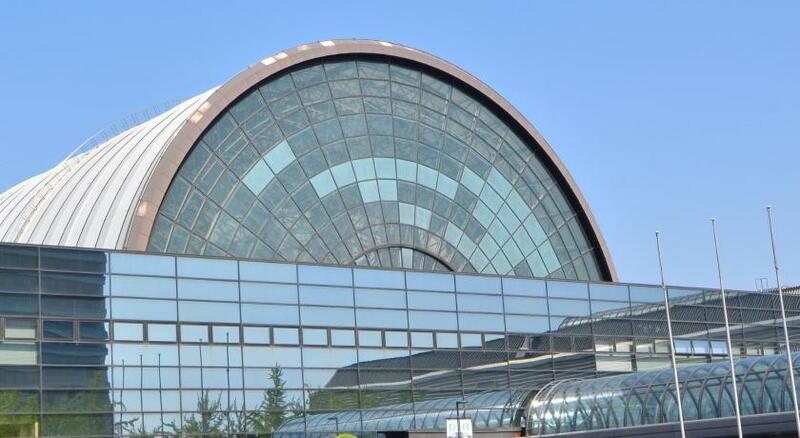 From there is was easy access to Aquarium, Universal studios, Osaka Station. Hotel also offer a shuttle bus to few locations. Hotel also has a shuttle bus throughout the day to Aquarium, Universal Studio, Osaka station, Osaka Castle. There is a 7-11 half way between Cosmosquare Station and hotel for late night snacks or access to ATM. Everything plus extras like a bottle of water each in the room and a welcome drink. Amazing breakfast and awesome staff. The facilities were a little sparse. Huge room, clean, comfortable, great service friendly staff. Breakfast buffet had so many choices and was an excellent quality. There were surprising free extras such as shuttle buses and bottled water. Location is far from station and has to take several trains to get there from Osaka station. Hotel shuttle bus could have run between Osaka station and hotel more frequently to help visitors to get there. Dinner not available at hotel. Good breakfast for the price and verity of food was reasonable. Rooms are very good size and plenty of space and clean. Not a great location to see anything in Osaka other than attending events at Intex. Great location for events at Intex. Room was one of the nicest we have ever stayed in. Spacious and well appointed room that was massive. I can't speak highly enough of the hotel. Staff are not very friendly. Schedule for shuttle not often enough to be convenient. Big spacious room. Comfortable bed and pillows. The biggest room I have ever stayed in. Very luxurious and easy to walk from cosmosquare station, to the opposite side lots of parks and a walk to shopping center with a big supermarket. Lots of restaurants in the building near by. Comfy bed and we didn't use AC as the temperature in the room was very pleasant. Nice view from the room on the harbour. They give a drink ticket for a glass of wine or juice in their bar and a complimentary facial care packs for women. The hotel is quite far from the city. The rooms were very spacious and there were shuttle buses to and from the airport and theme parks.